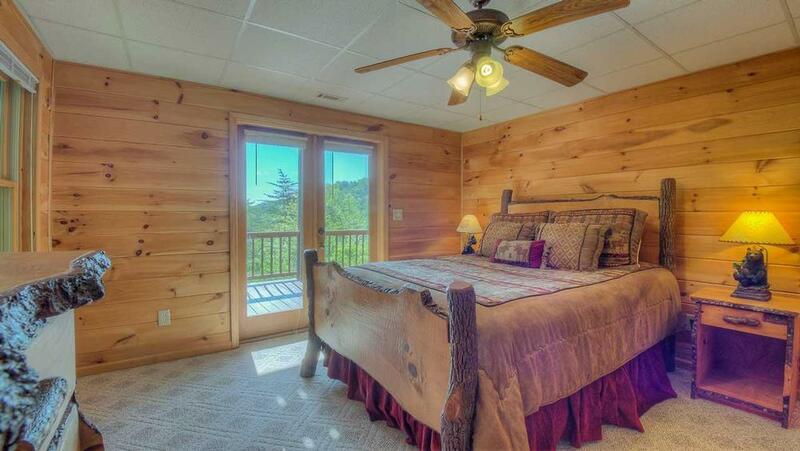 Dancing Bear is simply one of the most warm and welcoming Blue Ridge mountain cabin rentals you could find. The cabin lives up to its festive name, welcoming you with its charming bear decor, custom-made furniture and a warm, caramel-colored pine interior throughout that creates the perfect mountain atmosphere. 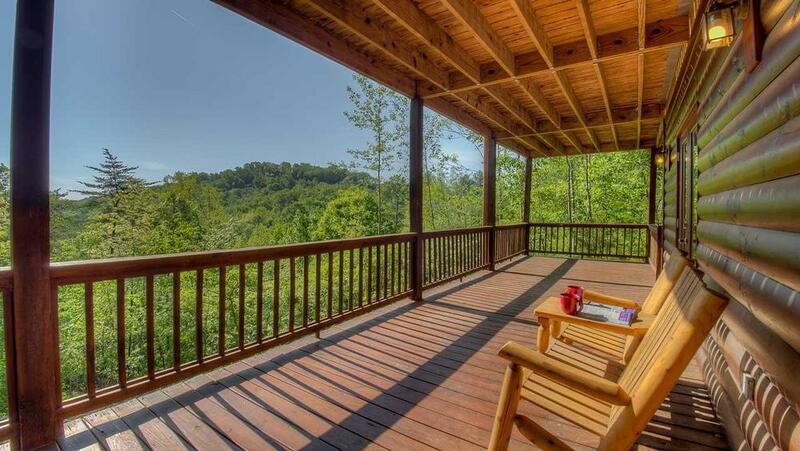 When blue skies prevail, there's no better place to be than taking in the views from the spacious deck or covered porches. 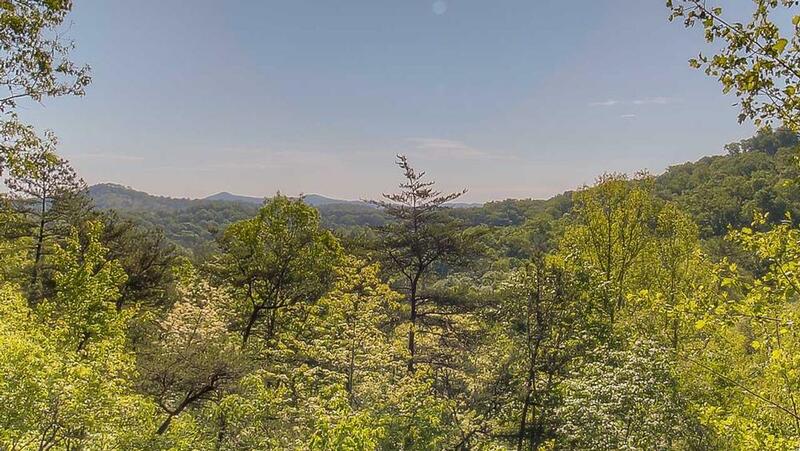 Surrounded by lush foliage and long-range views, sway on the hammock, breathe in the fresh mountain air and feel true relaxation wash over you. 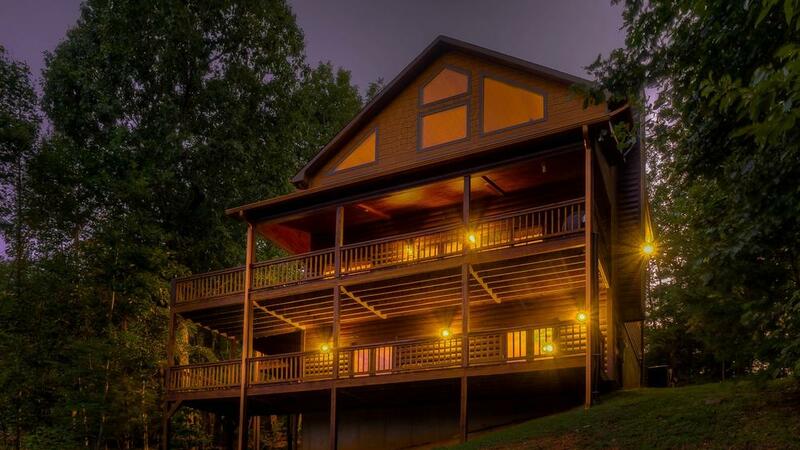 Spend the early evening on the screened-in porch, warmed by the outdoor gas fireplace, or indulge in a pre-dinner dip in the hot tub complete with its own waterfall while listening to music on its built-in radio or iPod docking station. You can even have your own little Dancing Bear dance party out here on the deck. The fun will continue on the covered porch as you have a cold drink and fire up some burgers for dinner on the gas grill. 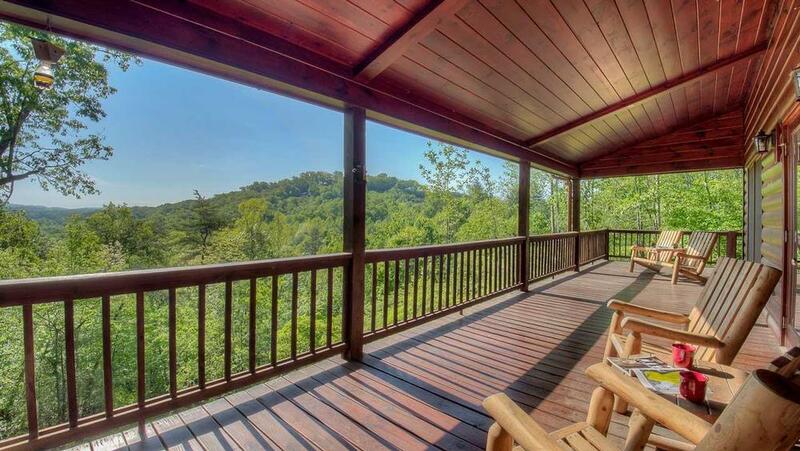 You'll be treated to spectacular views whether outdoors or inside. 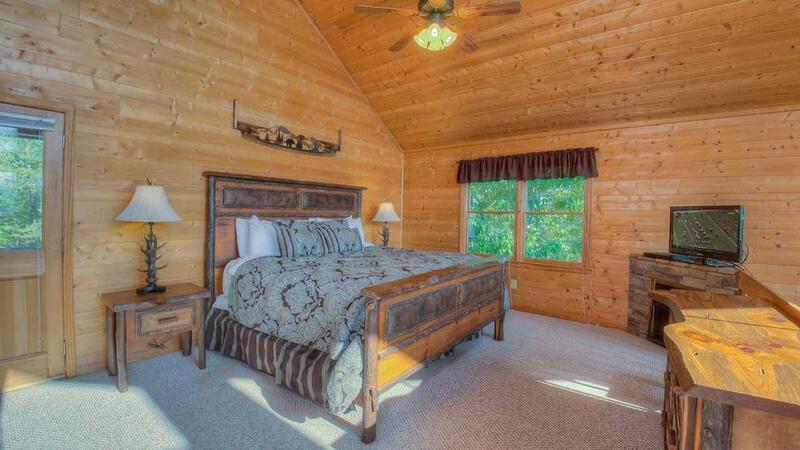 Dancing Bear's vaulted ceilings and seven picturesque windows allow for tons of sunlight to stream in to this gorgeous home, along with breathtaking mountain and forest views. 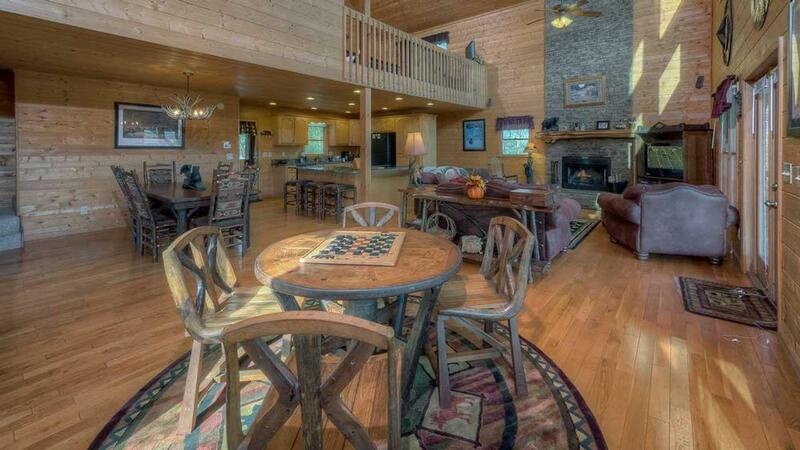 Take them in while staying warm and cozy near the sky-high wood-burning fireplace on the main floor. 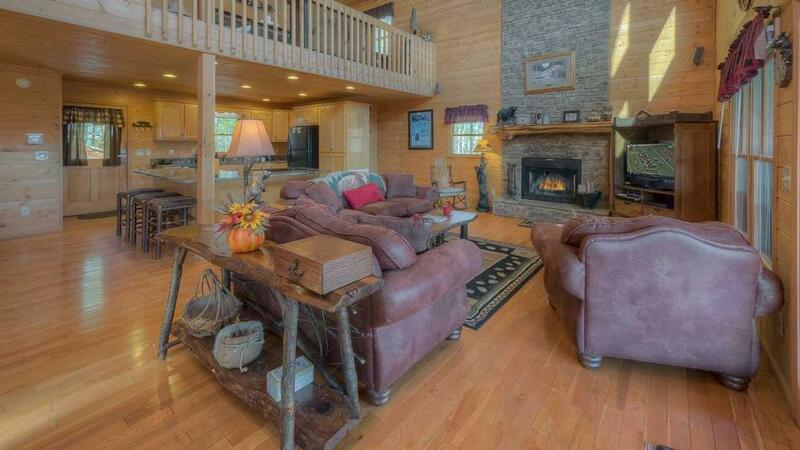 Sink into the comfy leather sofa on a chilly fall evening and sip a hot toddy while watching the fire glow. Or put on a DVD and find yourself immersed in the story as the surround sound fills the room. The kids won't even notice the odd rainy day—they'll spend it cheerfully in the game room, playing the Megatouch game machine with more than 100 games to choose from, along with billiards or checkers. They'll even have their own TV just for playing video games in the one of the downstairs bedrooms. And speaking of, bedtime will be heavenly, with three bedrooms dressed in beautiful, contemporary bedding and lovely rustic furnishings. Head upstairs to the loft area's master king bedroom suite and snuggle under the covers before your own crackling gas fireplace. Step into the adjoining bathroom for a relaxing soak in the Jacuzzi tub before bed. 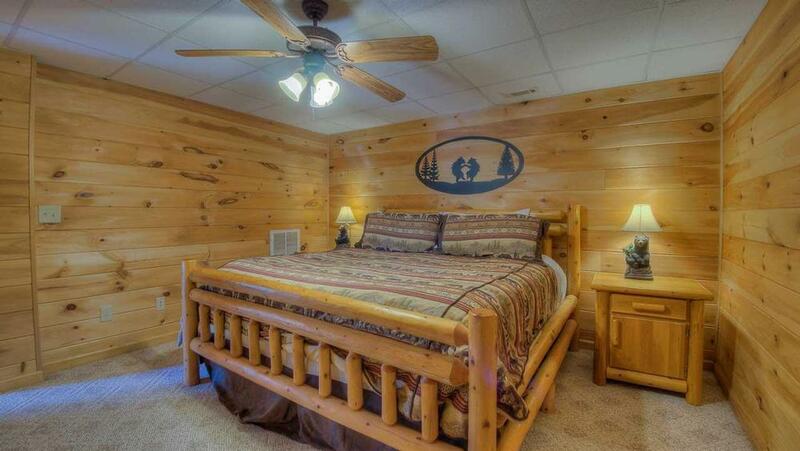 You'll also sleep like a bear in the king or queen bedroom downstairs, conveniently located by the game room for the kids. This delightful home will make it hard to bear leaving—Dancing Bear will dance right into your heart, filling it with fun times and great memories. 03/19 - The beds were so comfortable. Perfect! 02/19 - This home is beautiful and well maintained. 12/18 - The bear decor was so cute, the big windows were amazing, everything we needed was there. Charming, cozy -- a truly happy place! Easy to work with -- good communications -- lovely inventory -- good website. 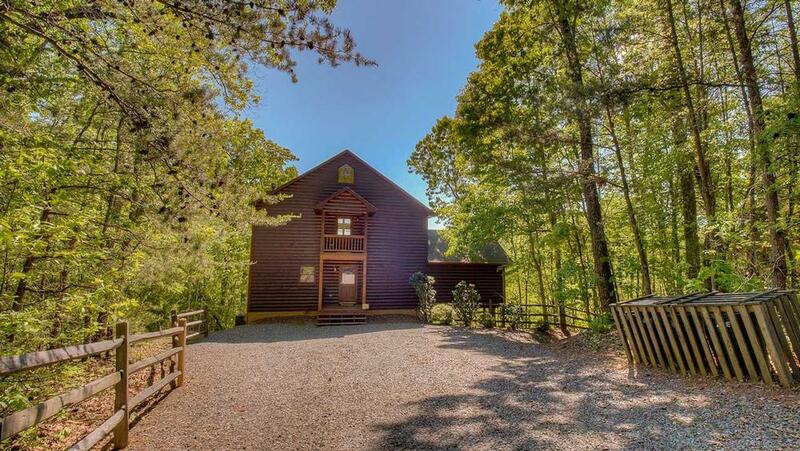 10/18 - Dancing Bear was charming and delightful - a perfect value and experience. Great company - love your reservation staff, esp Kathy! 07/18 - The “Home” feeling, beautiful view, peace and tranquility was amazing! 07/18 - Great amenities, space and view. Professional and courteous staff. 06/18 - Spacious and clean! 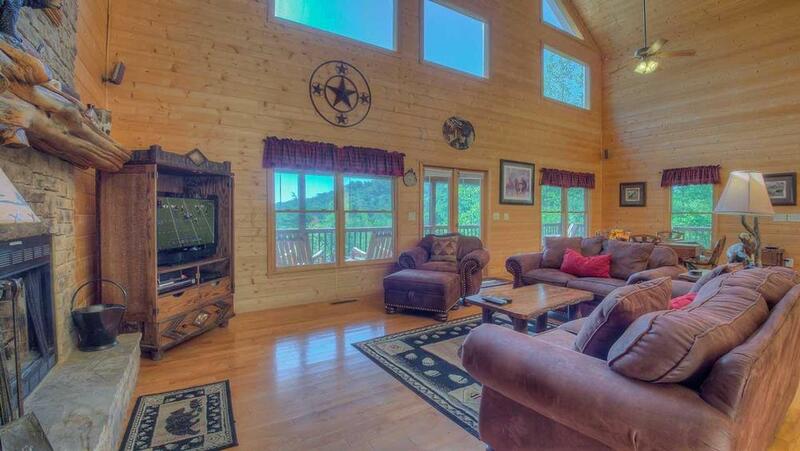 Great place to rent cabins! 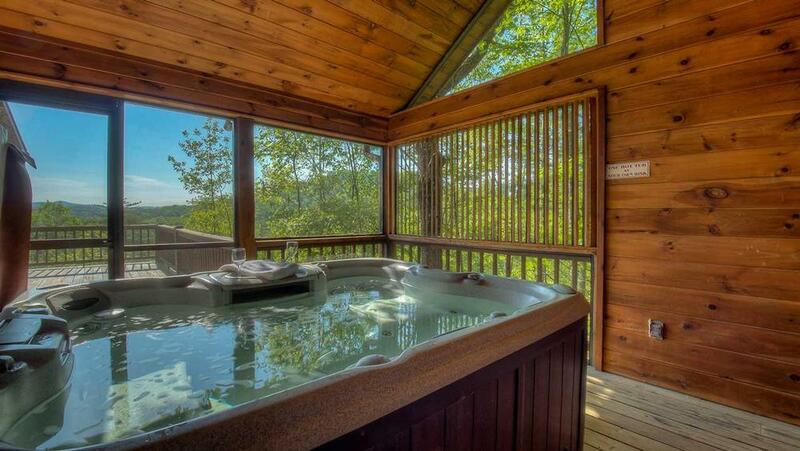 4/18 - We enjoyed the view and the hot tub. Very professional company. 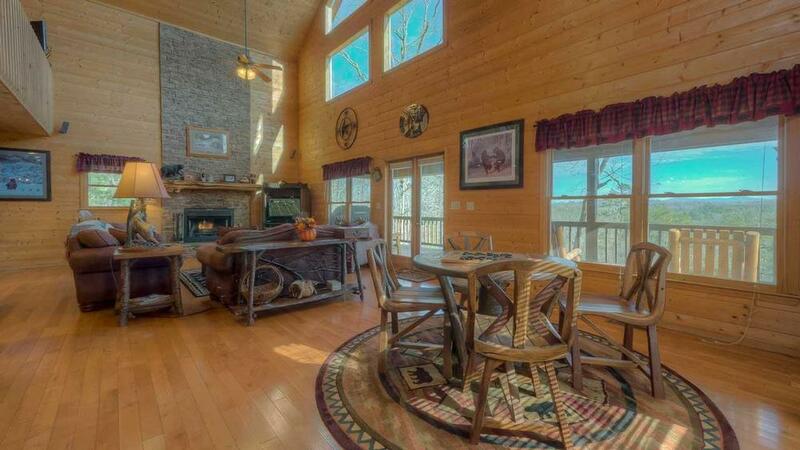 08/18 - Beautiful cabin, it had all we needed, beautiful view, comfortable bedrooms with all the amenities, great location, clean, great hot tub, spacious, entertainment room etc. Will definitely be back! Great company to work with and thank you so much for the welcome package with products from the area! 09/17- Liked the space and the location. We love ETBR!!! 08/17- We absolutely fell in love with Dancing Bear. We took our family on a little weekend vacation before school started back. We loved the pool table, the hot tub, the grill, and the views from the deck. 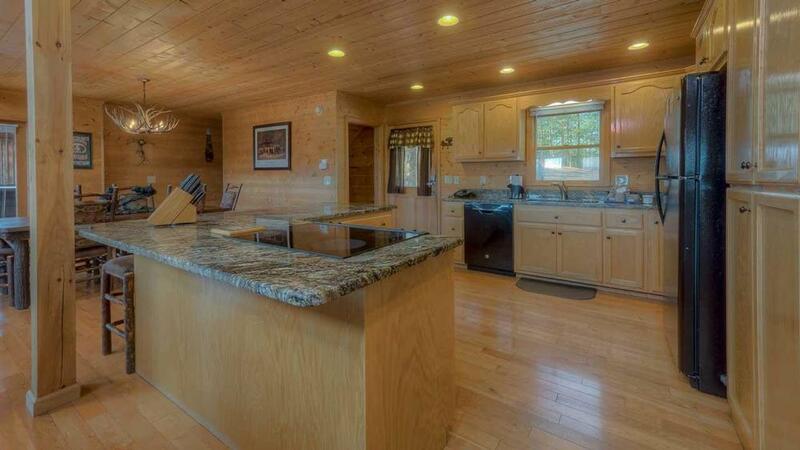 The kitchen was amazing as well as all the furnishings. The beds were very comfortable. We enjoyed seeing the sights of Blue Ridge! The lake was fantastic, and was just a short drive from the cabin. We definitely plan on coming back in the very near future. The company was fantastic. Every need was met. The booking process was very simple, there was no hassle at all. They were very friendly and helpful on the phone. I will definitely use this company again for all of our future GA vacations!! 07/17- The size and layout was terrific. Game room was adequate. Both levels of outdoor deck were amazing. Furniture and interior finishes were outstanding. Working with EBR was easy and comfortable. The fact that the entire transaction could be done online made it simple. The website is terrific and user friendly. When I did want to speak to a person someone was always available. 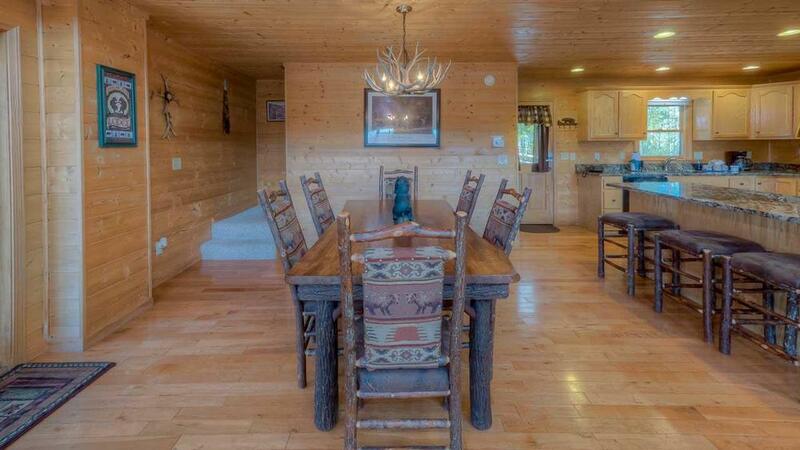 07/17- We love the whole theme of the cabin. The hot tub, pool table, and outdoor grill were our favorites! This was a pleasure in every way. 04/17- I liked the size of the cabin, the location and the amenities...I enjoyed each and every interaction I had with the staff. Everyone was very helpful and courteous. We will certainly want to use your company again and recommend you to our friends and family. 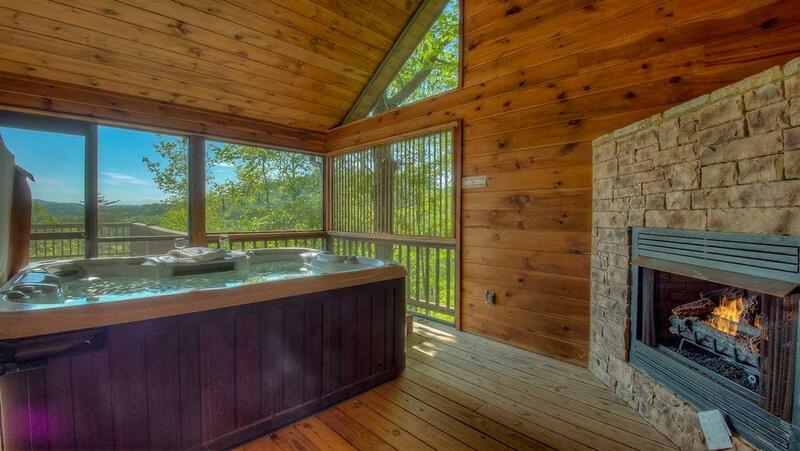 02/17- Our favorite feature of the home was the private hot tub that was large and functioning well. Very friendly staff. 02/17- Very well appointed with great amenities. I appreciated the supply of firewood. 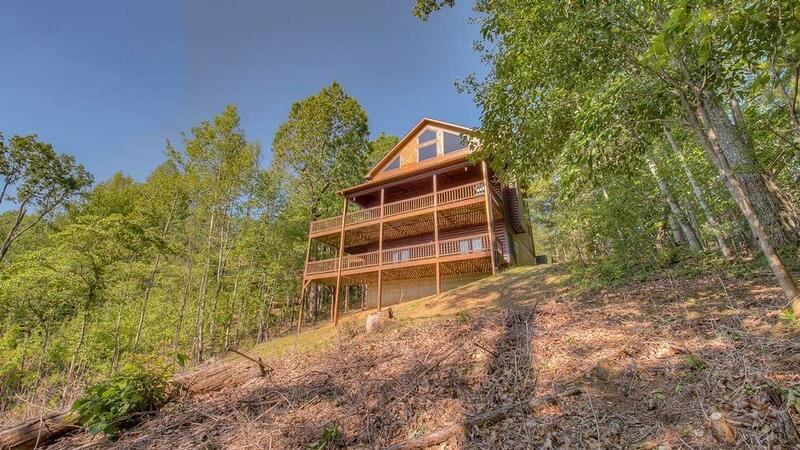 The view was great from the deck and master loft. We had a great experience with the cabin and Escape to Blue Ridge. 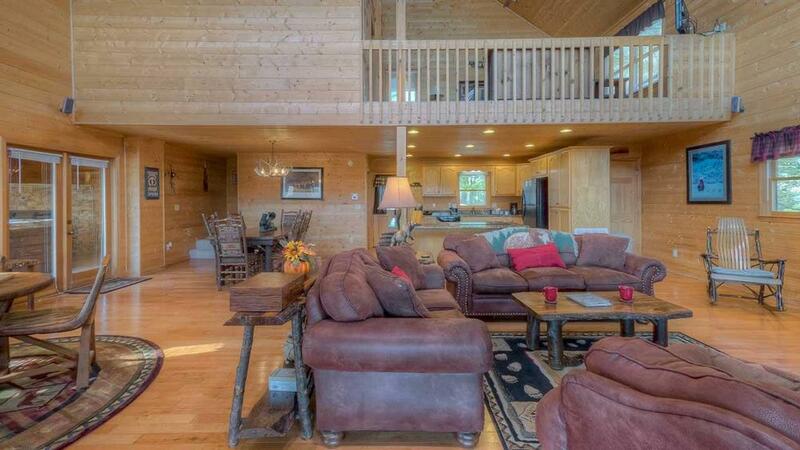 You made the process very easy and the cabin exceeded our expectations. Thank you. 02/17- We loved the cabin and the hot tub. Excellent company. 12/16- I enjoyed the look and amenities of the home. I am very pleased with your company and would use you any time. 10/16- It was such a beautiful cabin and quiet location. We had an amazing experience! 08/16- The cabin is very nice ,we like everything . 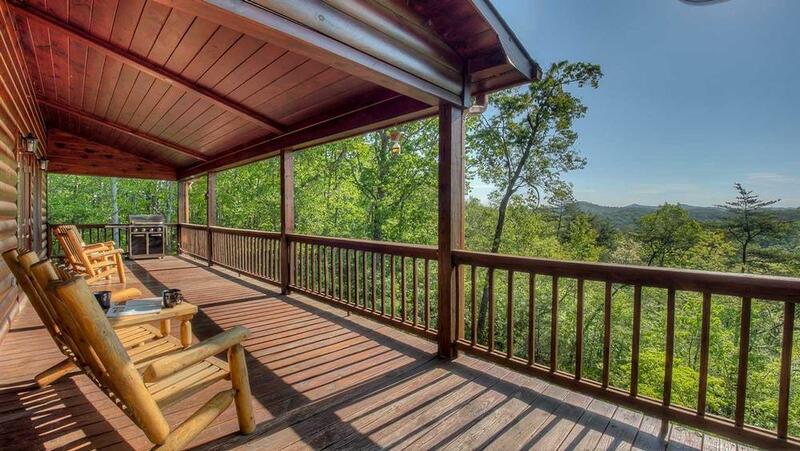 07/16- I really enjoyed the layout of the house, the beautiful views, and the spacious porches with the hot tub. I also liked all of the fireplaces even though it was too hot for a fire while we were there. 04/16- Dancing Bear was better then we could ever imagine!! It had a cozy at home feeling that made us feel like we were right at home the entire time. 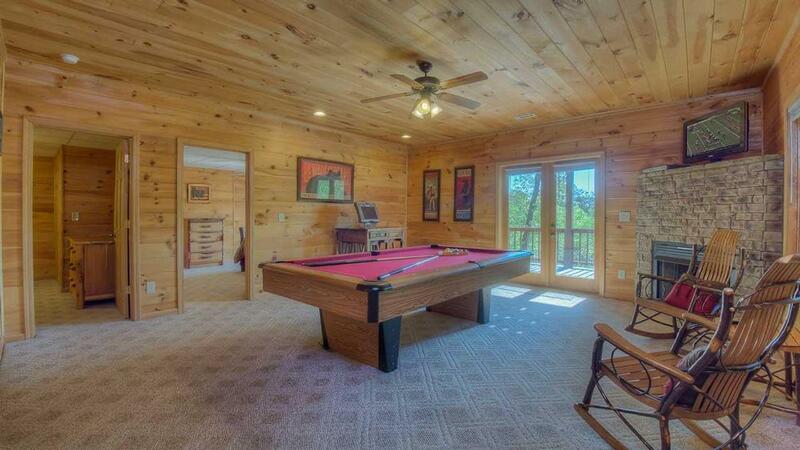 Between the oversized bedrooms, the fun filled game room, and the amazing hot tub I can't decide what was our favorite. 04/16- Views and quiet setting were great and company wonderful to work with. 04/16- Gorgeous layout, lovely deck areas and easy to access gated neighborhood! 03/16- The home was lovely with a pretty view. We enjoyed the hot tub and the game room. I love how spacey the home was. 03/16- Amazing, breathtaking views!!!!! We also loved the comfy beds and super fun game room!! 02/16- Loved the layout of the home and the accessibility to local grocery stores. 12/15- We enjoyed the coziness and the view the best. This is our 2nd time using escape to blue ridge the staff is very friendly and happy to help with any issues. 11/15- The furnishings were spectacular. 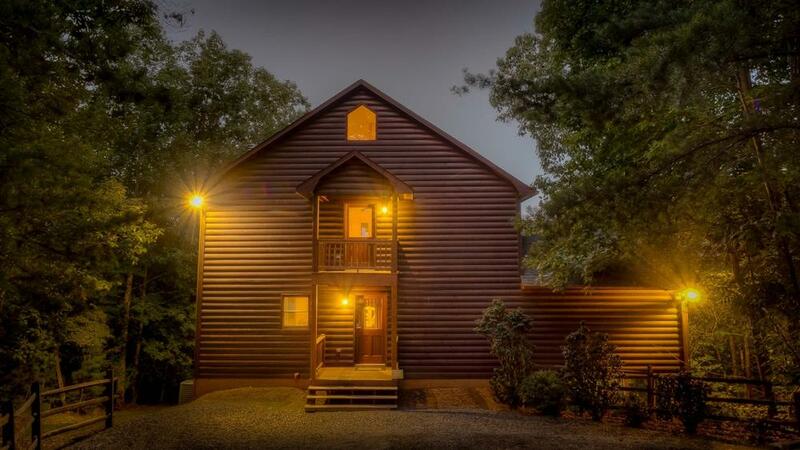 This is the second time we have used Escape To Blue Ridge in planning our North Georgia weekend getaway and we will continue to do so. I appreciate the consistent communication and the follow up response when I initially inquired on line was very prompt. 10/15- This was a very nice cabin. The area was great! We had an issue with lighting the gas fireplace and I called and they sent someone out in five minutes. 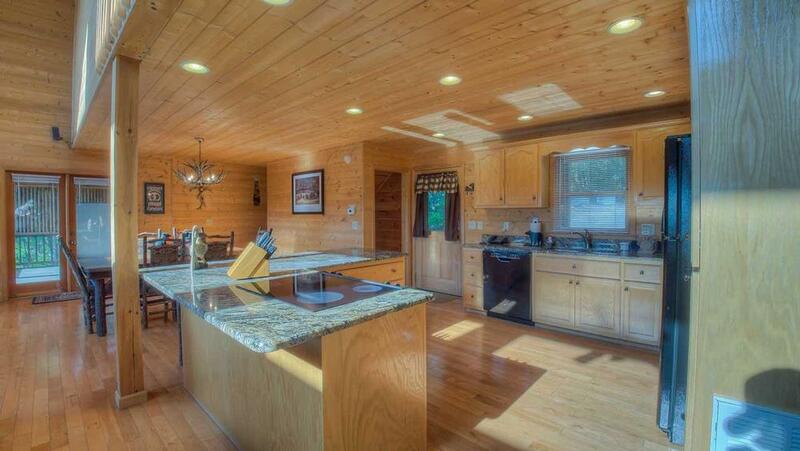 The cabin was very clean and lots of space. 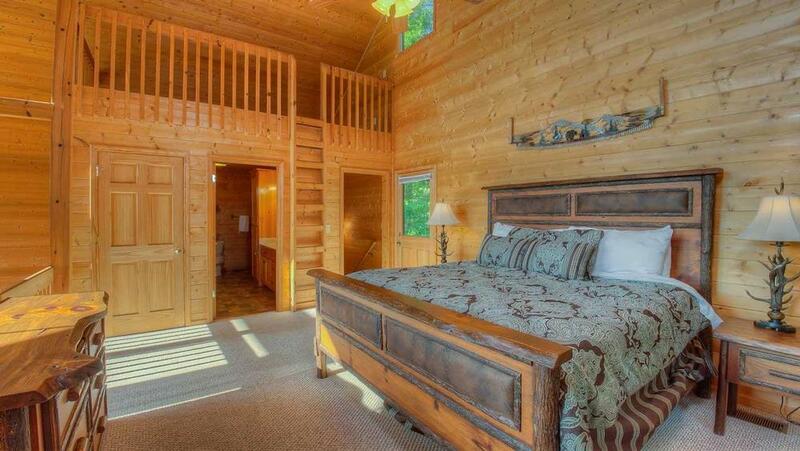 Overall I would highly recommend this cabin. 10/15- The view and the gaming system they have was awesome. the hot tub was very large and very clean. 09/15- Was wooded lot........easily accessible in the corvette without worry of damaging the undercarriage. Paved road to the drive. Drive was hard packed gravel. Nothing negative. Always a pleasure to deal with you all. 09/15- Although it was in a community, it was secluded with long range mountain views. All roads to the home were paved. The main floor was open and had plenty of room for everyone. 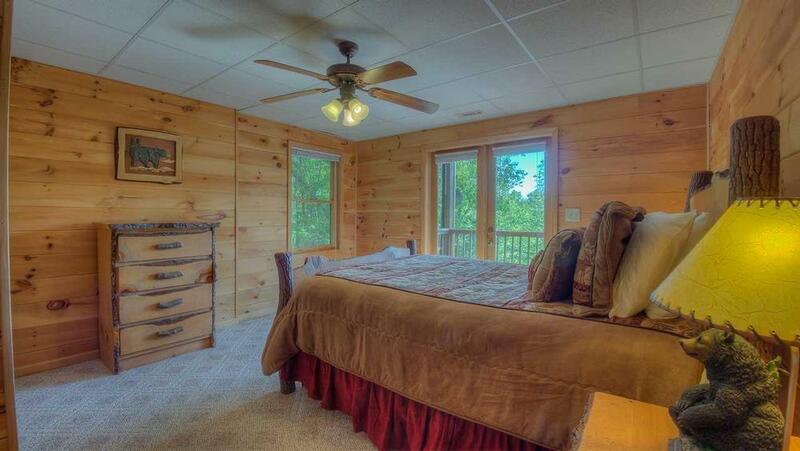 Downstairs was two bedrooms, a game room and bath. 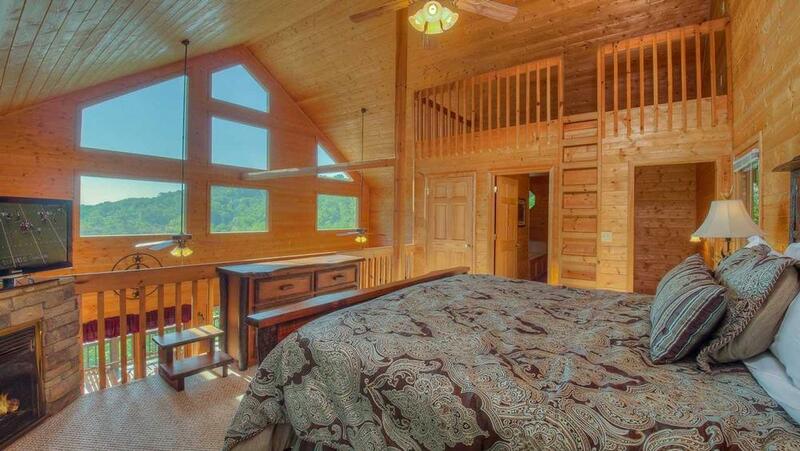 The upstairs loft provided another bedroom and bath. I can't remember who I spoke with but she was very friendly and helpful. I would book again with this company. My husband and I stayed in a cabin from this company in February 2015 with my sister-in-law and found it also to be a comfortable cabin. 08/15- A Dancing Bear was absolutely amazing! !! 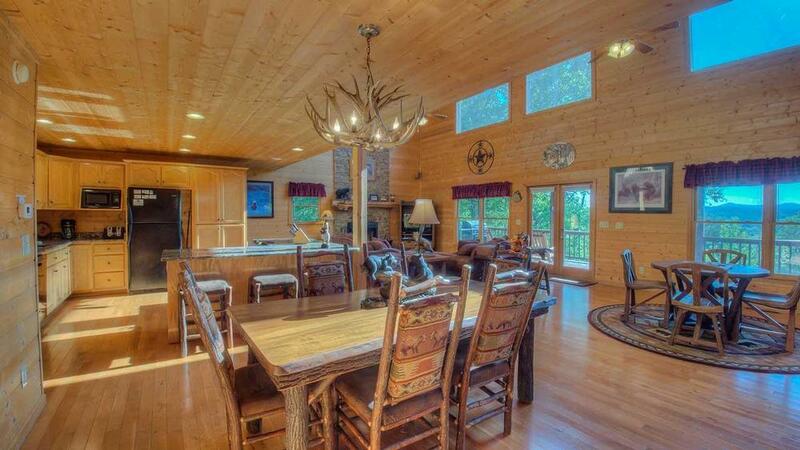 The cabin was breath taking. It was clean and anything we could think of was already provided! We will definitely be visiting again! ! The company was very helpful and polite. The response was quick and even though the original cabin was taken they wasted no time finding an alternative. 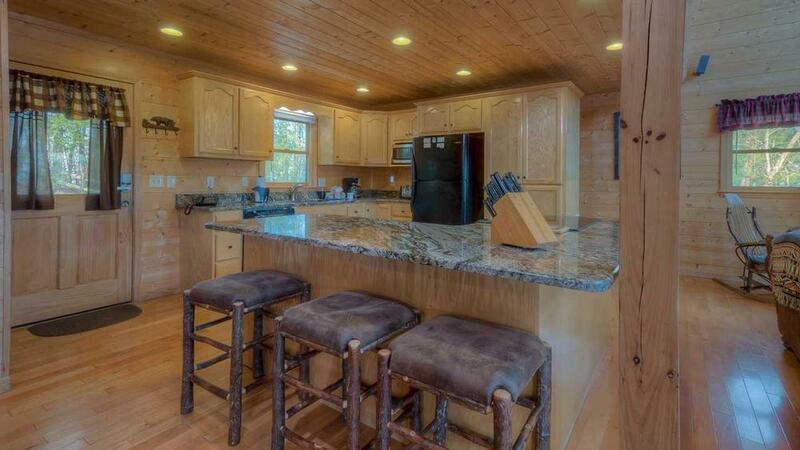 And it was better than the original cabin we had our site on! ! We will be using them again. Thank you for making our family vacation one to remember! 06/15- The video game. We were trapped inside because of weather and no TV or internet. The video computer helped pass time. 05/15- The hot tub the views and all of the space, also the kitchen were great and we were very satisfied. 03/15- The Jacuzzi is our favorite feature. 02/15- Not our favorite cabin. 11/14- Open floorplan. 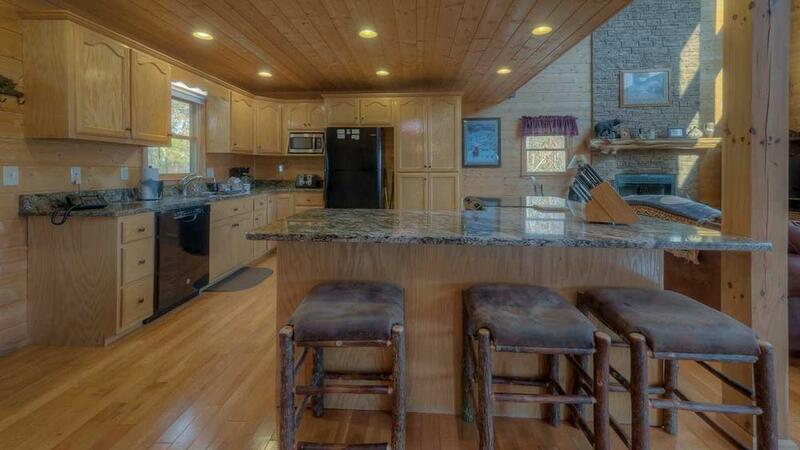 Big TV.large kitchen. 10/14- View, Game Room, Fireplace in Bedroom. Clean with all amenities supplied. Well run company with great responsiveness. Beats VRBO who never call you back! 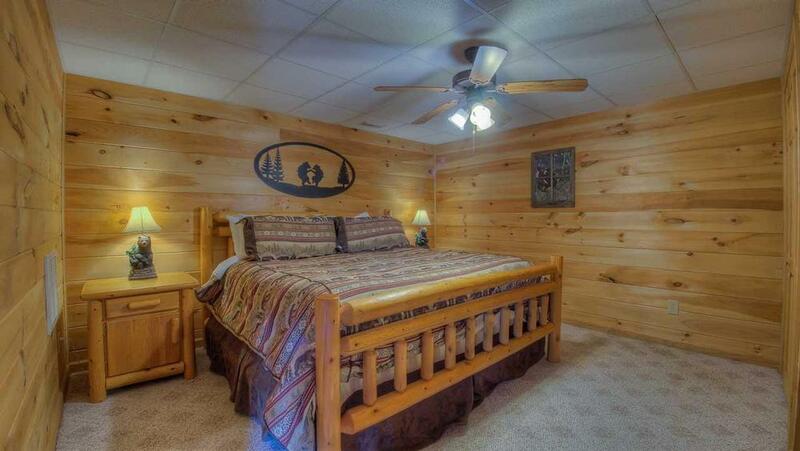 09/14- Size and bedroom layout of Dancing Bear are great!